Multi Hub USB-C adapter with Power Charging for added Space! 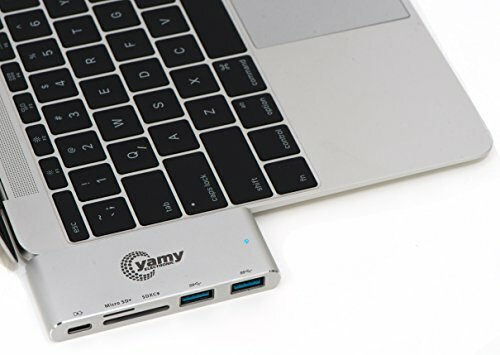 (Company's name) present to you our premium quality Multiport Adapter which comes with 5 functions - two USB 3.0 ports, a SD and Micro SD card slot, and a charging port. 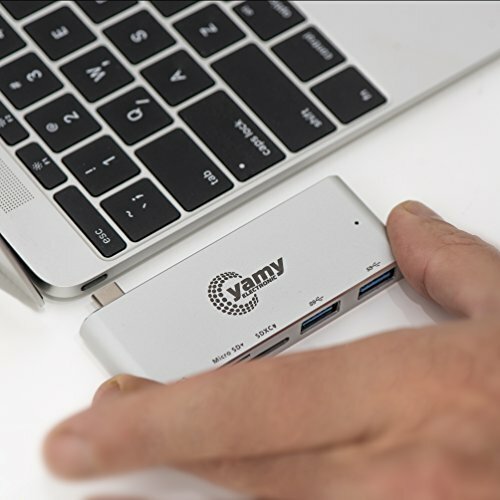 It's the complete Happy package that you have been looking for to expand your Type-C port for MacBook and other similar device. Why choose us? Durability, Compact Design and Portable! 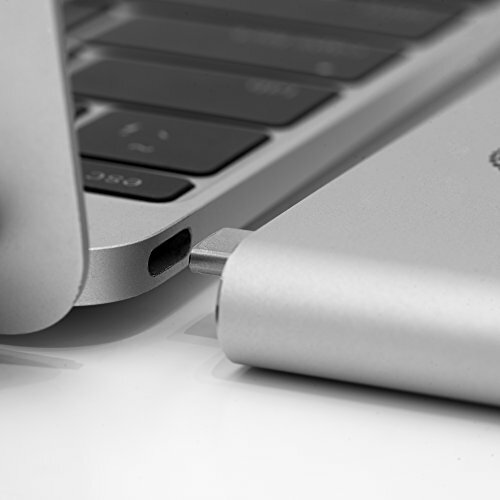 The Adapter is made of aluminium thus making it look like the perfect accessory to carry it with MacBook. Aluminium also makes sure that the Hub is robust with a longer life. The Hub is beautifully designed and comes with multipurpose use. Moreover, the sleek design makes sure that it is easy to carry everywhere and anywhere. With all this, we give you the chance to join our family at (Company's name) and enjoy the benefits we offer to our customers - A friendly customer service and a promise to stand by you if you ever face a problem. We have offered you everything at the best price possible. We are confident that you will love using our Multiport Adapter. Get this easy to setup Multi Hub today. Click the "Add to Cart" button right now. 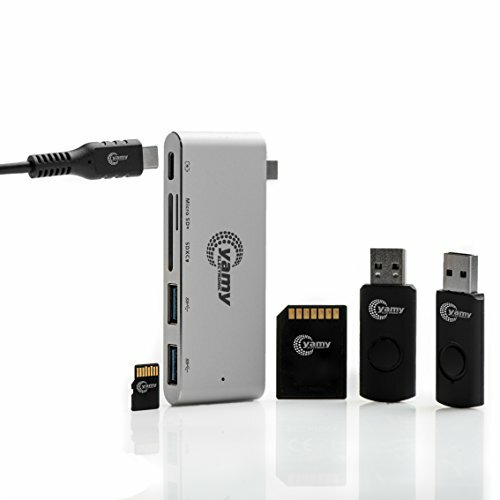 • ★ USB TUPE-C MULTI HUB WITH 5 FUNCTIONS : Introducing our Multiport Adapter with 5 functions. All you ever want in your Multi Hub comes in this one - two USB 3.0 ports, a SD and Micro SD card slot, and a charging port. 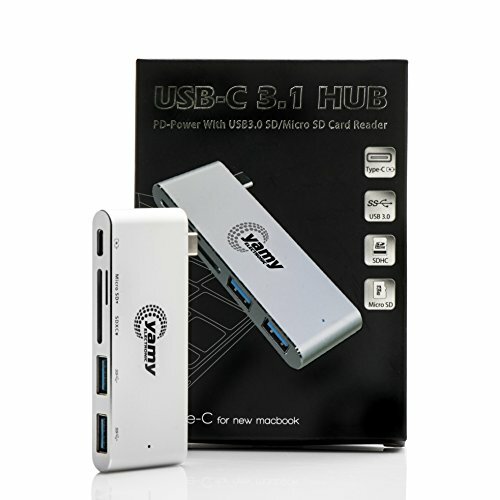 • ★ SUPER SPEED WITH EXTENDED SPACE : Our hub transfers data at incredible speed with USB 3.0. 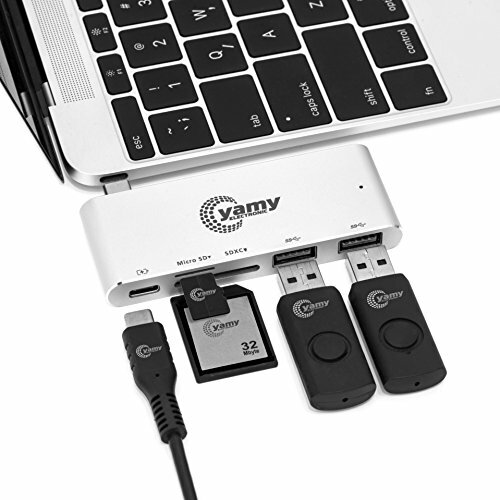 It can be used with MacBook, ChromeBook Pixel and other USB-C devices with OTG function. • ★ EASY TO INSTALL AND CARRY: This Multiport Adapter is very easy to setup. It doesn't require software or drivers to be installed. All you have to do is plug and play. Yes, it's that simple! 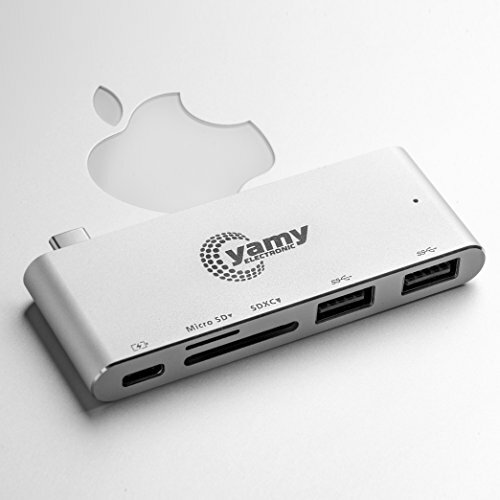 • ★ PREMIUM QUALITY MATERIAL AND DESIGN : Our Multiport Adapter is sleek and compact. Hence, making it portable. Moreover, it's made with Aluminium making it long-lasting. 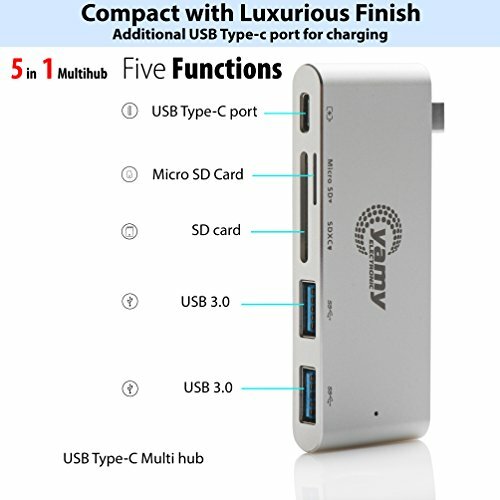 • ★ HAPPINESS GUARANTEED : We are sure that our Multi Hub USB-C will be to your utmost satisfaction. We aim for customer happiness and are offering a 30-day return policy, no questions asked. 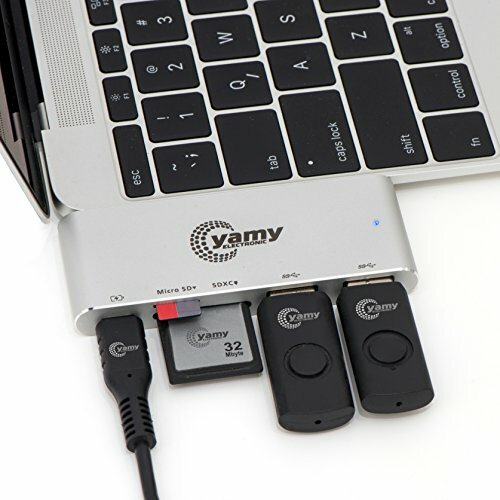 If you have any questions about this product by c-yamy, contact us by completing and submitting the form below. If you are looking for a specif part number, please include it with your message.